Miner! 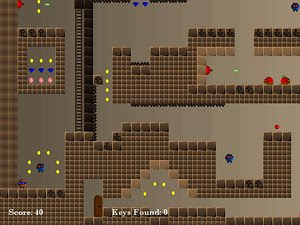 is a classic sort of platform game with tons and tons of levels. There's a large variety of enemies, obstacles, platforms, and prizes. This takes everything good in a platform game and packages it neatly into one game. Funny graphics, classic gameplay, and plenty of levels will keep you interested for a long time.